Xiaomi has sent out invites for the upcoming launch of its upcoming new smartphone. 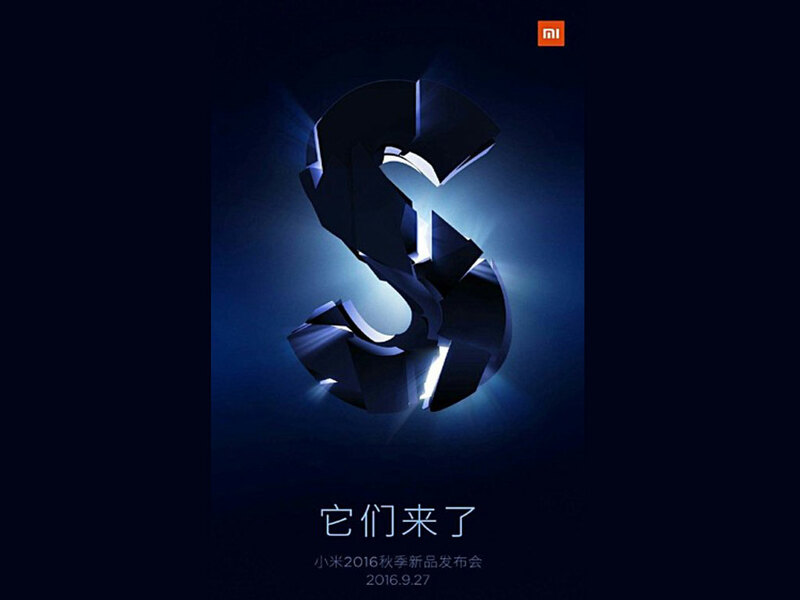 The company did pretty much gave the name of the next handset as the invitation comes with a big "S" logo. Xiaomi's upcoming smartphone is leaked and rumored to feature Qualcomm's ultrasonic fingerprint sensor, Snapdragon 821 chipset, 16MP rear camera 5.15-inch display, 6GB of RAM, 256GB of storage and 3,490mAh battery. The event launch date will be next week, September 27, we'll update you about the phone so stay tune as we wait for the official announcement.